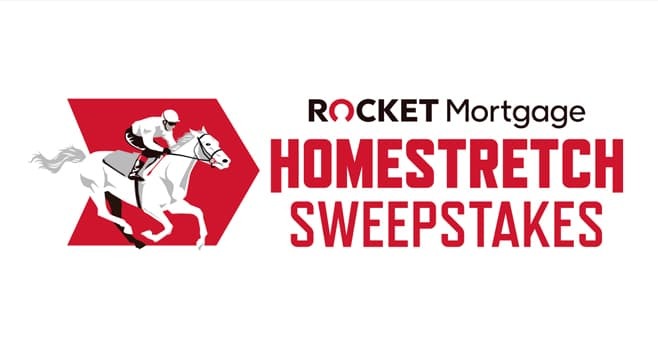 Rocket Mortgage Homestretch Sweepstakes 2019: Rocket Mortgage and the Kentucky Derby invites you to visit HomestretchSweepstakes.com and complete the Homestretch Sweepstakes entry registration for your chance to win $250,000 towards the purchase of your dream home. The Rocket Mortgage Homestretch Sweepstakes is open to legal residents of the fifty (50) United States (including the District of Columbia) who are twenty-one (21) years of age or older as of date of entry. The Sweepstakes begins on March 18, 2019 at 9:00:00 a.m. ET and ends on April 7, 2019 at 11:59:59 p.m. ET . Limit one (1) Registration/Entry per person/email address during the Sweepstakes Period, regardless of method of entry. The grand prize consists of a trip for two to attend the Kentucky Derby in style at Churchill Downs on May 4, 2019 and $250,000. Visit www.homestretchsweepstakes.com to enter and see Official Rules for details.